John is a former member of the Canadian Armed Forces and currently resides in Falmouth, Nova Scotia. 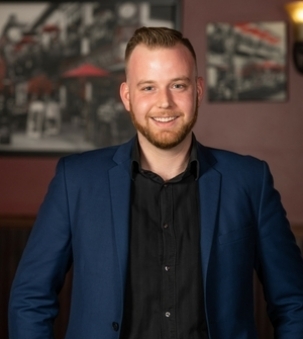 He is determined to make his clients experience as smooth and enjoyable as possible.Whether it’s helping a first-time home buyer or assisting an experienced seller, John goes above and beyond to make his clients happy. He understands the needs of his clients and is always willing to assist them through every phase of the process. John has been married for 4 years, has two beautiful daughters Delilah and Penelope, plus two furry family members. In his spare time John enjoys playing hockey, working out, and spending time with his family. He is actively involved in his family life and can usually be spotted with at least one of his girls underfoot.